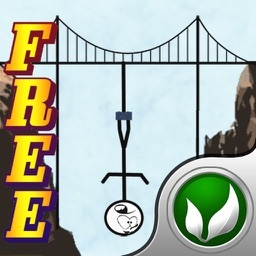 █ Have hours of fun doing 180 jumps in this physics based app! 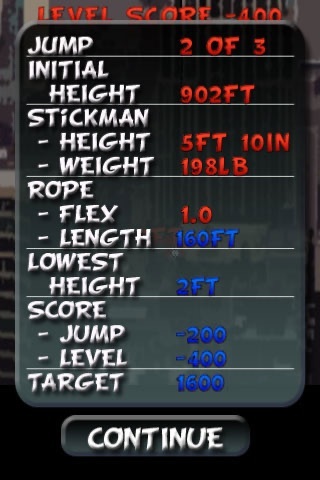 Calculate the length of rope and watch the stickmen dive. 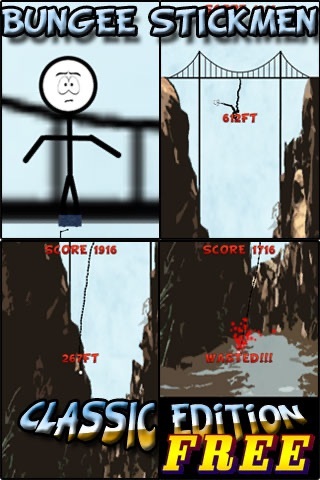 The stickmen are extreme sportsmen, get them close to the ground to give them a thrill, but be careful or they will splat!!! 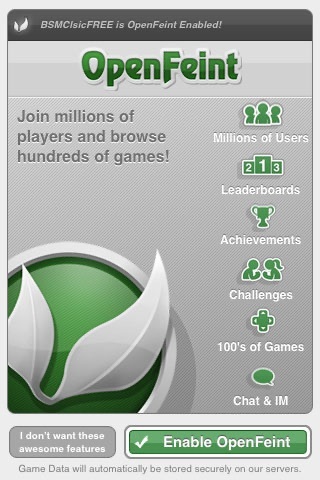 Each level is more difficult than the last. 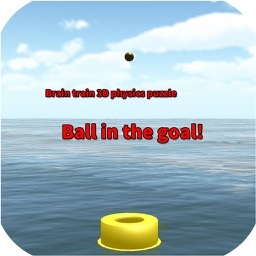 Can you complete all 180? 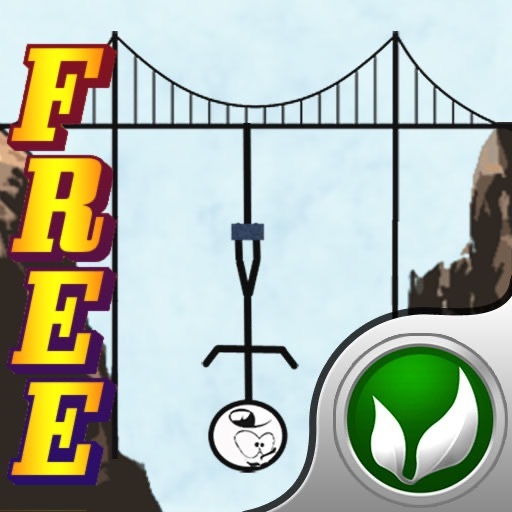 Bungee Stickmen uses actual physics parameters to let the stickman dive, bounce and splat in a very realistic way. 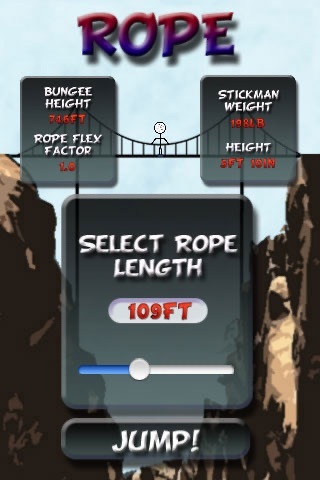 You are the bungee master! Use Newton’s laws of physics to work out what rope length you need. Then let gravity do the rest. 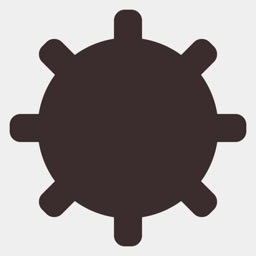 Adjust the settings to either imperial or metric measurements! 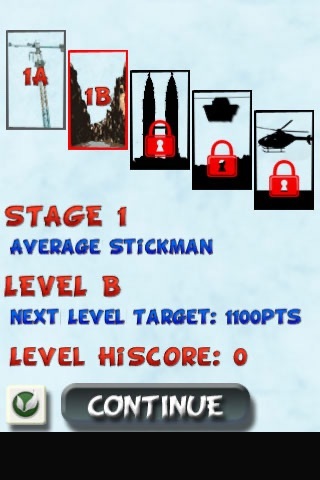 Give the stickmen a thrill! You gain points as he nears the ground. But hit the ground and you lose points. You need a certain number of points to progress to the next level. You get 3 jumps to meet the level points target. There are 5 levels to each stage. 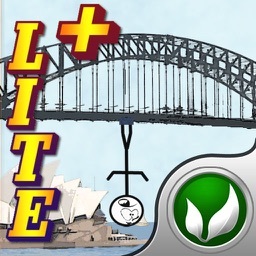 The PRO version has 12 Stages with increasing difficultly. 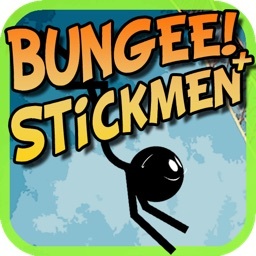 Bungee Stickmen uses openfeint for scoring and social networking.